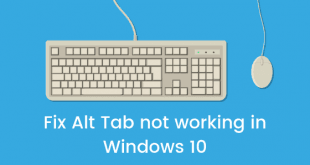 Everything has pros and cons and Windows 10 is no different. 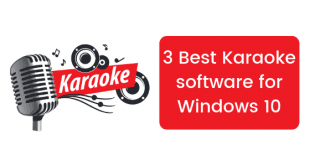 The most popular OS for computers in the world, Windows has been running on computers across the globe for a very long time and the latest version, Windows 10 had quite a few heads turn when it was first unveiled. It brought about a whole lot of new features like Cortana but then, on the other hand, installing Windows 10 has caused some minor problems for some people. One such problem was the screen brightness not working. Users all across the globe reported this error after upgrading to or installing Windows 10. While the solution is not a trivial one, we figured some of you out there might still be suffering. So today, we’re going to talk about how to fix screen brightness not working issue in Windows 10. Let’s get to it. Before we can begin with fixing this issue, we ought to know its cause. What causes this issue in almost all the cases is the display drivers not being installed correctly. So what we’re going to do is install the drivers again, making sure they’re properly installed this time. 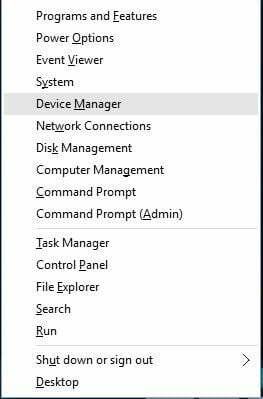 Launch “Device Manager” by right clicking the Windows button on your screen and selecting the device manager option. 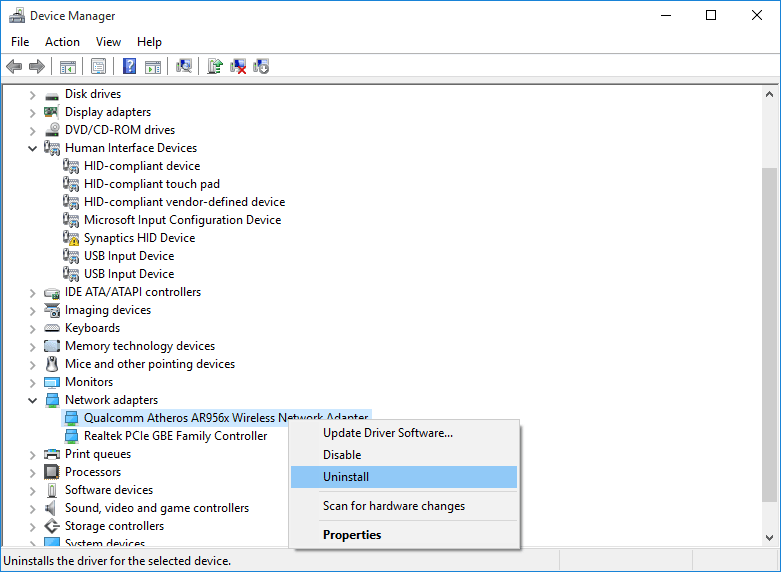 Once in the Device Manager, scroll down to the “Display Adapters” option. Click on this to expand it. 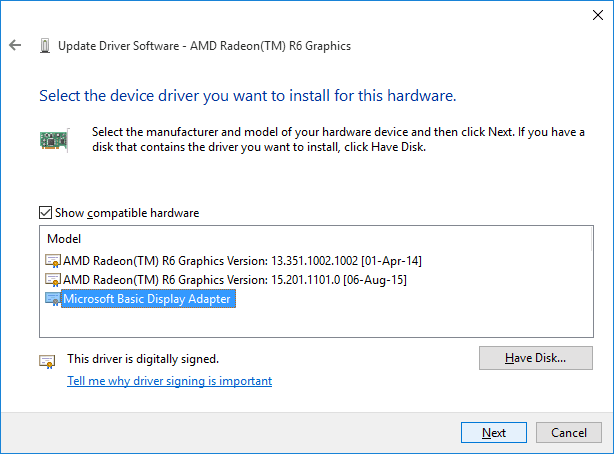 Right-click on the installed driver. Then proceed to click on the “Update driver software” option that appears in the sub-menu. Windows will then ask you if you want Windows to look for the right drivers online or do you want to update the drivers from your computer. Go with the former option. Windows will then automatically look for the drivers online, download them and begin installing them on your computer. Once the installation is complete, you will see a message asking you to restart your computer. After restarting the system, the screen brightness not working issue should be solved. If the issue is still not fixed, the latest drivers were not available online from the card manufacturer. We will then have to opt for an alternative approach. Follow steps 1-3 mentioned above. 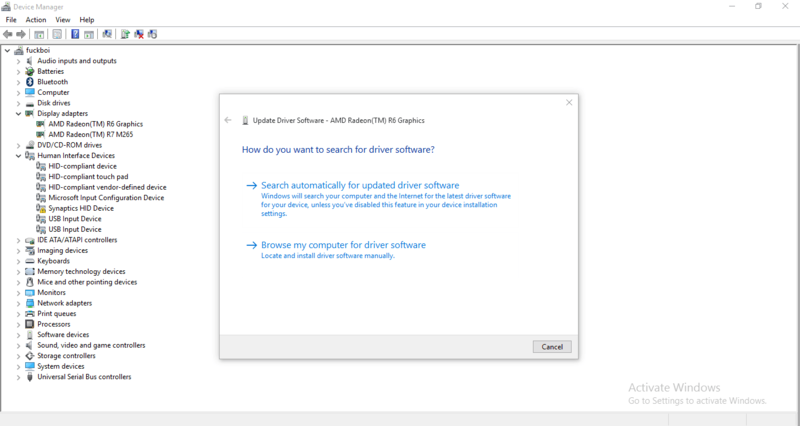 When Windows asks you to choose, choose the “Browse my computer for driver software” option. 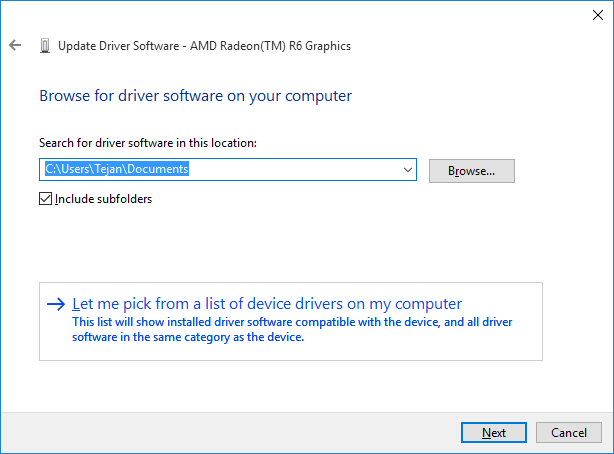 In the window that appears next, choose the “Let me pick from a list of drivers on my computer” option. Next, click on the “Show compatible hardware” checkbox. Then, choose “Microsoft basic display adapter” from the menu and click next. 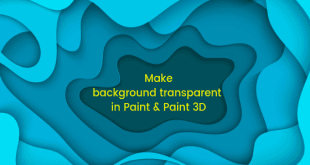 Using the above solution Windows will install the selected driver and you should be able to change the brightness level. This will solve the prevailing brightness issue on your Windows 10 computer. We hope the article proved useful to you. Leave your feedback in the comments section below and stay tuned for more useful troubleshooting tips.